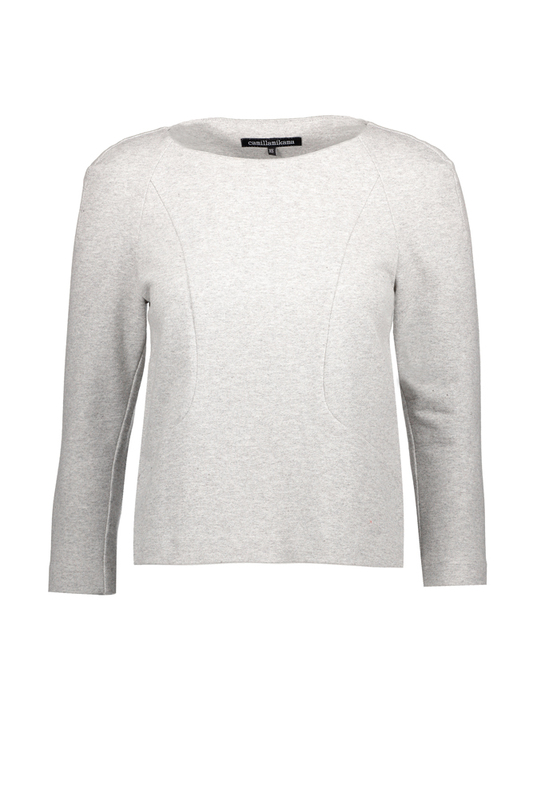 Sporty, yet feminine sweatshirt with high quality finishing and a great fit. A relaxed piece of workwear, throughout the year. Fabric composition: 100% cotton. Fabric made locally in Finland. Care instructions: machine wash max 60°C, wash with similar colours, reshape when wet, do not tumble dry, ironing max 200°C (3 points). Made to measure tips: If needed, You can order this with a shorter or longer hem or sleeves. See the "Personalization" section for more details.